It’s no secret that I’m growing out my pixie cut (as evidenced by Instagram selfies and #tbt posts to longer hair days). While I adored my pixie cut, it began to bore me just a bit. There’s less hair to fuss with (bonus!) but, also, there’s less hair to play with, and wearing headbands and clips just got a bit old to me. In January 2014, I decided I would start the “painful” growing out process, but as documented below, you’ll see that it really wasn’t horrible at all. Thanks to my talented stylist, who kept my hair shaped-up and mullet-free, there wasn’t a month that went by where my hair was awkward or unmanageable. Check out the timeline below, and then read on to learn what I did to encourage my pixie to grow into a pixie-bob and now, finally, a short bob. First, let’s just be real here: There are no quick fixes, magic pills or herbal concoctions that will make your hair grow rapidly. Yes, there are things you can do to keep your hair healthy and strong, but nothing is going to transform you into Rapunzel overnight. Now that we’ve gotten that out of the way, I will say that I integrated a few natural approaches to encourage my hair to break less and stay strong. In addition to my regular supply of daily supplements (more on that in a different post), I integrated various hair growth supplements into my routine to 1) make me feel like I was an active participant in this months-long journey and 2) see what worked for my lifestyle. Here’s what I tried — and please remember, I’m not a medical professional. If you’re interested in supplementing your diet for whatever reason, remember to clue in your doctor. What works for me may not work for you, and may not even be safe for you, depending on your circumstances. Be smart! Almost every woman who’s gone through pregnancy raves about how her pre-natal vitamins made her hair and nails grow. While these claims are unproven, as I took pre-natal gummies during this pixie-growing-out experience, I did notice that my nails grew faster and peeled less. As for my hair? Couldn’t really tell. As far as my body goes (after speaking with my doc), I had no problem taking pre-natals to jumpstart this process in the beginning, but opted to discontinue taking them for social reasons (i.e. when a guy snoops through your medicine cabinet and sees pre-natal gummies, it tends to cause anxiety). B-complex vitamins are known for their ability to nourish hair follicle cells, prevent hair loss and keep the hair flexible. I chose to experiment with this supplement next because it seemed that focusing on these healthy-hair vitamins could be key to strengthening my hair during the growing-out process (because with a pixie cut, you do tend to heat-style every day). This was probably my favorite supplement because 1) it’s in gummy form, which makes it easier to take (yes, I am a child) and 2) it only required one gummy a day, which felt very manageable given the additional daily supplements I take. Of all the gummy-like supplements I took, these tasted the best, and were just damn-fun to take. Unlike their gummy counterparts, these vitamin “bubbles” were alive with citrus flavor that burst into your mouth as you bit into it. Think Gushers. In addition to the hair-healthy B vitamins, these also contain beauty ingredients such as grape seed oil, collagen and evening primrose oil, which also contribute to skin health. 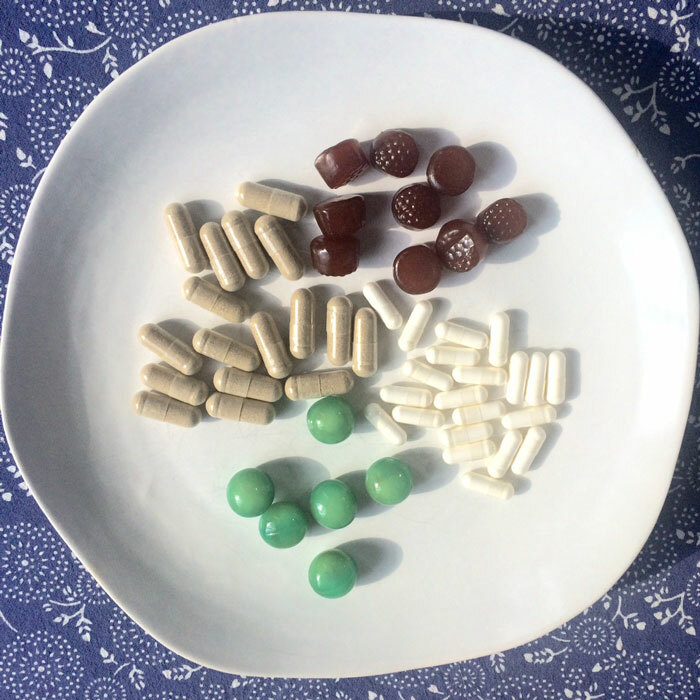 Though I loved these supplements, the catch is that you have to take three daily to get the full dosage, and quite frankly, they’re expensive. I’d recommend these if you’re just not good with taking supplements — even gummies. If you’re eating a well-balanced diet and already taking a host of supplements (such as a multivitamin), adding just plain-old biotin to the supplement collection is probably the easiest thing to do to support hair growth. This is what I’m currently taking, and the high-potency of this gives me some wiggle room in case I forget to take it one some days. Once I finish this bottle, I may go back to my B Complex gummies, but at one pill a day, it’s not too much of a hassle to get down. Though it’s loaded with all the right hair-growth herbs, vitamins and minerals, this supplement got moved to the back of the supplement collection because it required three capsules daily and the pill size was bigger than I liked. If this is the only supplement you’re taking, then three capsules shouldn’t be a big deal. But when it came down to my daily pill cocktail, adding in these three put me at a total of 10 daily. I realistically just couldn’t keep up with this regimen. 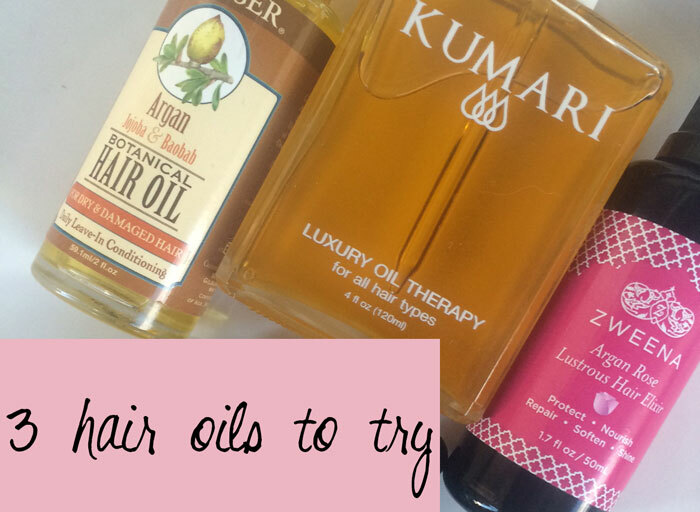 Besides internal support for hair growth, I also looked to various nourishing hair oils to protect my hair during the growing-out process. Before I ever went pixie, I regularly massaged my scalp and hair with plant oil to stimulate blood flow and promote relaxation. Regular scalp massages with organic hair oils also provided my heat-styled hair some much-needed moisture and balancing effects, as I have naturally oily hair that’s over-heated and constantly overcompensating (read: greaseball). These are a just few of the hair oils in my collection. Keep in mind that you can use any organic plant oil to perform these massages — it’s all personal preference and addressing your hair’s needs (i.e. dry hair may need a thicker oil, like coconut oil, to deeply moisturize, while oily hair like mine can get away with light oils like sesame and jojoba). Though this one is marketed for dry and damaged hair, I found that it was just the perfect consistency and weight for my fine, oily hair. Jojoba and argan are two of my favorite oils, and when they come together in one — with some baobab, sunflower and essential oils mixed in — it makes for a delightful hair treat that smells creamy, citrusy and floral all in one. A bit of a thicker oil thanks to its coconut oil base, Kumari Luxury Hair Oil incorporates time-tested ingredients such as turmeric, licorice, saffron and Indian sarsaparilla. Needless to say, it has an exotic, warm scent that evoked memories of being pampered at an Ayurvedic spa. I reach for this one during cooler temperatures, as its beautiful spices offer just the right amount of stimulation to make me feel warmed from the outside in. Leave it to Zweena to complete my rose wardrobe. This hair elixir is just gorgeous — who wouldn’t want hair that smells like roses ? — and harnesses the nourishing power of argan and avocado oils to protect and moisturize the hair and scalp. Avocado oil is one of those underrated oils that is an absolute powerhouse for hair. It’s high in vitamin E and can prevent breakage with regular use. It’s not a light oil, though (you’ll notice it at the end of Zweena’s ingredients list, cut with lighter oils like argan and meadowfoam), but incorporating it into a blend like this allows your hair to get a healthy dose of moisture. So, here we are, nine months after I decided to grow out my pixie cut. It’s in a good spot — short bob that can mostly go up into a baby ponytail with some hair hanging down — yet I can’t really credit any one of these things to the nice growth I’ve seen. That’s clearly not the answer you want to read, but it’s true. Patience, regular trims and some experimentation with B vitamins will make the time pass faster. If you notice growth in your nails, it’s likely that your hair is also growing a bit faster, but the only way to really know is to take a picture every single day … and let’s just be real here, if you’re like me and can’t be bothered to take three hair vitamins a day, you probably aren’t going to set up a daily photo shoot, either. Bottom line: Know your body. Know what’s normal and above average for you. Do some research. Trust your hair to a stellar stylist. What have you done to help your hair or nails grow? Have you ever had a pixie cut? Share your hair growth tips and stories in the comments section!